"I found Tim on the Internet a few years back and i've liked his style ever since. He has a great eye, and he lights the cars in both a very pleasing and interesting way. 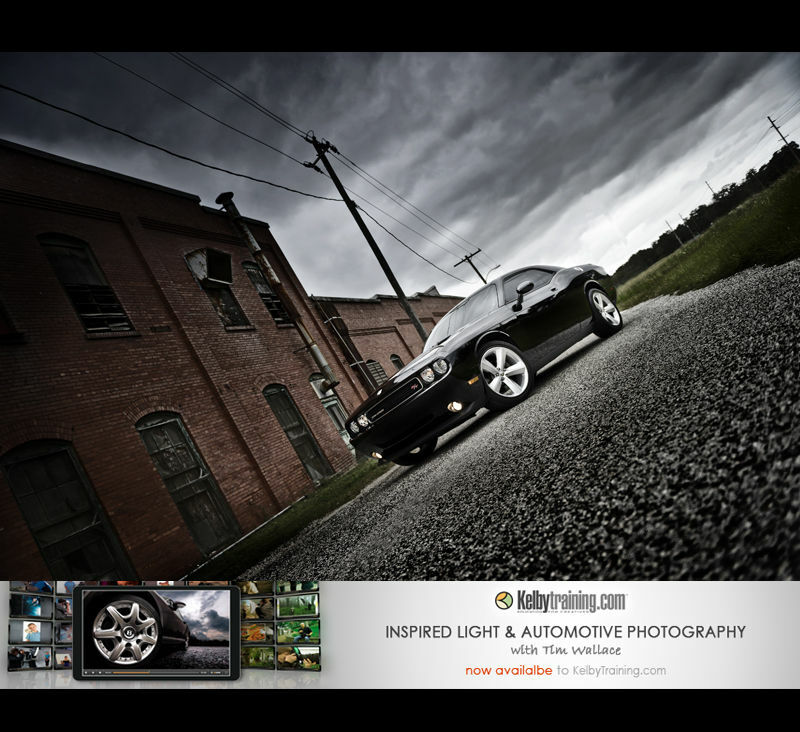 I work as a automotive photographer as well and i sometimes find inspiration from Tim's work since i like his style." "Watched the car one already and loved it. Vital information for me as I try to move into this segment. I am sure the close up video is as good and I can't wait to watch"
"Thanks Scott for giving us the opportunity to further feed on Tim incredible talent, his images are terrific!!" "Outstanding classes from Tim! I am the least 'car guy' there could possibly be (possibly because I do body repairs on them every day?) and I soooo want to get my gear out and do this! I'm hoping to give it a shot this week some time. Not like I have a lack of subjects in the shop..... :-)"
"Tim Wallace is great... I have watched both of his classes 3 times each and catch something new each time... thank you guys so much for having him teach these classes... One of my co-workers just bought a top of the line Z06 Corvette and agreed to let me shot the car as practice... maybe I will post the pics to the next Grid Critique. :-) Thanks again!!!" "Wow, Tim Wallace is awesome. It struck me that he has the finished photo already in his head, that is creative thinking I don't have. HA, still using film camera sound for his high end digital. Great stuff!" "Both classes are terrific. Even if you don't like to shoot cars, you'll get something out of these classes. Great job, Tim!"